If you look at the habits of every successful business person, you’ll see a pattern of constant learning and growing. Books play a critical role in this. While I love podcasts and blogs, they only give you just a piece of the big picture. Books can provide a comprehensive look into the expert’s knowledge and experience on a specific topic. Don’t have time to read? Me either — not usually! I love my Audible subscription, which allows me to listen while I clean the house, go for walks or drive. Here are some of my favorite book recommendations, which I’ll try to update frequently as I continue reading. One major tip before you go on a purchasing spree: make sure you consume the books you need in the season you need them. Otherwise it’s a waste of your time and money, since you’ll likely forget the information by the time you’re ready to implement. I love studying psychology, especially when it comes to business and marketing. This book digs into the reasons some things go viral or impact behavior. Want your business to be remembered? Want your campaigns to go viral? Learn the psychology behind how you can. Want to stop competing on price? Learn how to add value and earn the loyalty of your customers and clients in order to charge your worth. Erin & Sarah share about how to build a boutique-style business around an amazing client experience. They provide alternative options to discounting that drive sales in a stronger way. So I have to admit, some of the anecdotes and stories in this book were a little over my head and old fashioned. However, I liked it so much I also bought "How to Win Friends and Influence People in the Digital Age" (totally should've gotten the audio version... haven't finished that one yet). This book is all about how to handle relationships and interactions. It helps with hiring and firing employees, sales techniques, dealing with collaborations, etc. Actually, this book is great for relationships of all kinds... friendships, spouses, kids. Definitely a great read! As business owners, it’s hard to prioritize our time and tasks, which means we often stretch ourselves too thin. Essentialism teaches you how to make the most of your time and cut back to the essentials (go figure). This was a pretty easy read that I'll probably listen to again and again as a great reminder to cut back. Ok, so this isn’t a business book per se, but I feel it’s a great one for entrepreneurs, especially women of faith. If you struggle with being a “yes” person and take on more than you should, this book will help you learn to say “no”. She helps you make the best decisions for your physical, emotional, spiritual, and financial well being. If you’re looking to launch anything from a new business to a new product/service, this is a must-read! Jeff Walker’s “Product Launch Formula” will walk you through the process of warming up your audience, prepping them to purchase, and how to seal the deal. 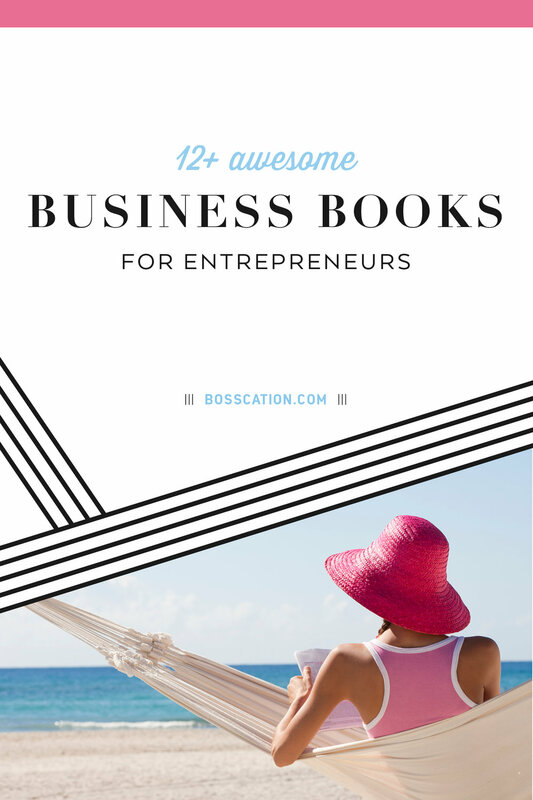 If you have an idea for a new business, but want to be confident in that path before you spend thousands of dollars and months of time building it out, definitely check out this book! Pat will show you how to pre-validate your idea and ensure it’s a good fit before you take the leap with it. This is a great book for beginner business owners or those who are looking at starting a business. While I still got some things out of it as an experienced entrepreneur, I think it would be much more impactful for new and aspiring entrepreneurs. Christy goes over the foundational steps for creating a small business. From setting up your business entity, to naming your business, to finances and branding. I’m not going to lie, I binge read this book in a single day... but I do NOT suggest that for you. It’s a decently intense read that dives into how to set up funnels in your business, draw in new clients, guide them through the customer journey, and lead them to your highest offer. While I feel this was targeted towards bigger businesses, there’s still a ton you can implement. (Just make sure you take notes and download the worksheets he has for you). Technically this book is targeted towards recession-proofing your business. While we’re not in a recession, it still has some great information on how to stand out from the competition and keep your business standing strong, even when others are struggling. Learn the “sticking points” that’ll drive your business to success. This book was not exactly what I expected, but was actually life-changing in another way. I read this while still a side-hustler and thought it would give me all of the steps I needed to leave my day job. Instead, I found a heart wrenching story of the stress and anxiety that Lara endured while starting her businesses. The story of her workaholic tendencies really hit home and helped me realize the type of life I did NOT want to have, so I could avoid letting my business run my life into the ground. It may not be the most uplifting book, but it will sure encourage you to stay aligned with what matters in your life. I'm not going to lie, at the point of writing this I haven't finished reading this book (I bought the physical copy so I could take notes, hence why I haven't finished yet). However, what I have read has been amazing... and totally in line with everything Bosscation stands for (especially our Path to Purpose guide). This book is all about figuring out your next move according to your strengths and passions — then testing things out before making any major moves. If you're struggling with what direction to head in next, I highly recommend this. Monique is a good friend of mine and she is a great example of someone who is intentional with relationships — both in life and business. She can go into a store and leave with a new friend and a date set up to get together. She has built her business off of nourishing relationships and teaches us how to do the same in her book. It's a very easy read with actionable steps that you can implement right away. 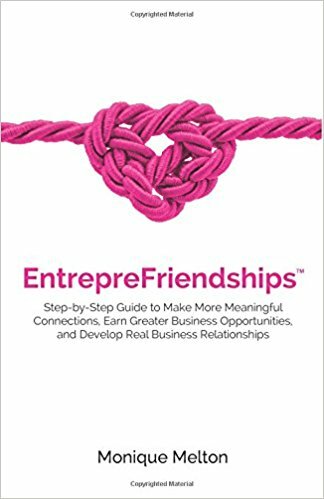 She also provides a free "Building Relationships Guidebook" to accompany the book, which you can find here. This is a super easy, but oh-so-interesting book about branding. "When everyone zigs, zag." Marty dives into how to build a unique, sustainable brand that will stand out from the competition. He encourages you to harness the power of differentiation in your business to create lasting value and deeper impressions. I LOVE anything related to personality profiling and psychology. This book kicks off with a personality assessment (that you take online), and then dives into each of the 18 different personality types to help you maximize your strengths. Learn how to work best with others who have different or similar personality strengths. I was a little surprised with my top result, but it makes perfect sense to me after reading the assessment! What are your strongest personality traits? Read to find out! 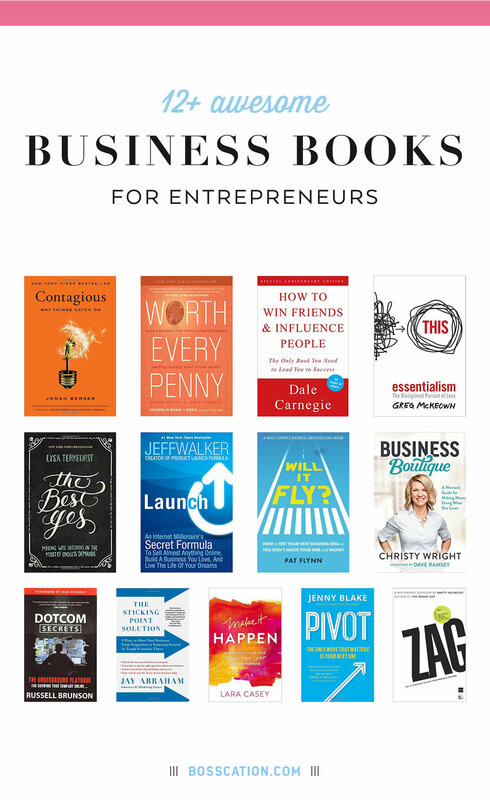 I'm always looking for my next read (or listen), so I'd love to hear what YOUR favorite business books are! P.S. Have you heard of the app OverDrive? Some libraries (unfortunately not mine) are linked with OverDrive and allow you to "check out" audio books and ebooks through their app for free by logging in with your library card.